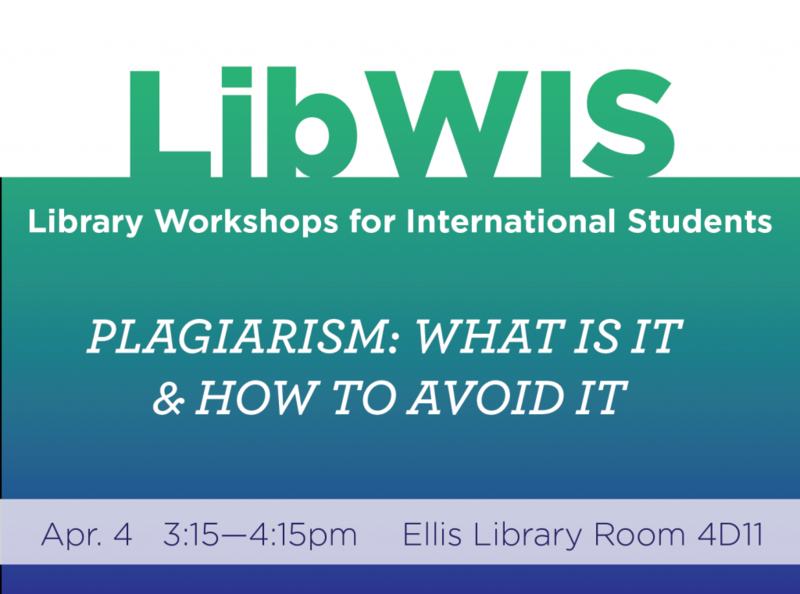 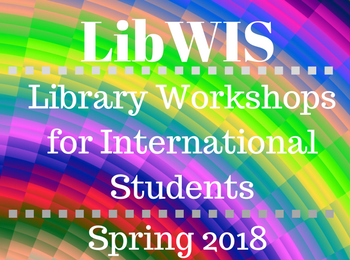 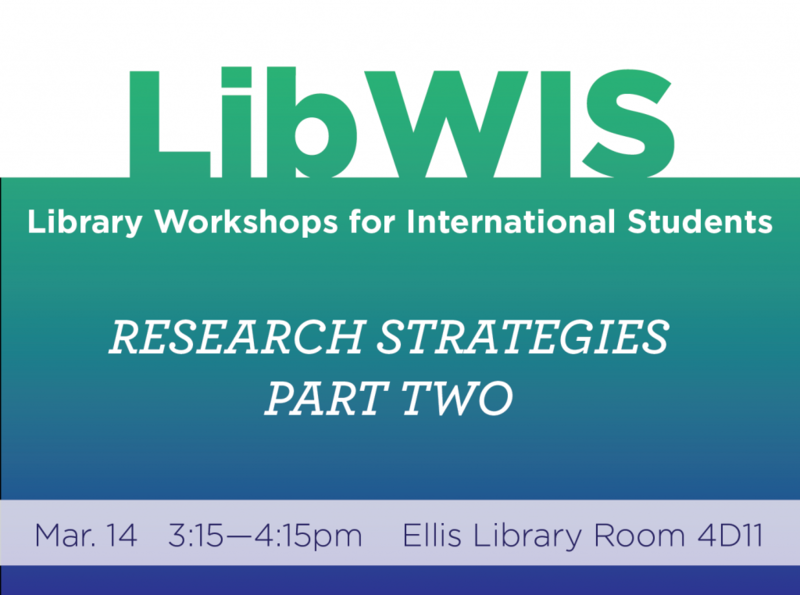 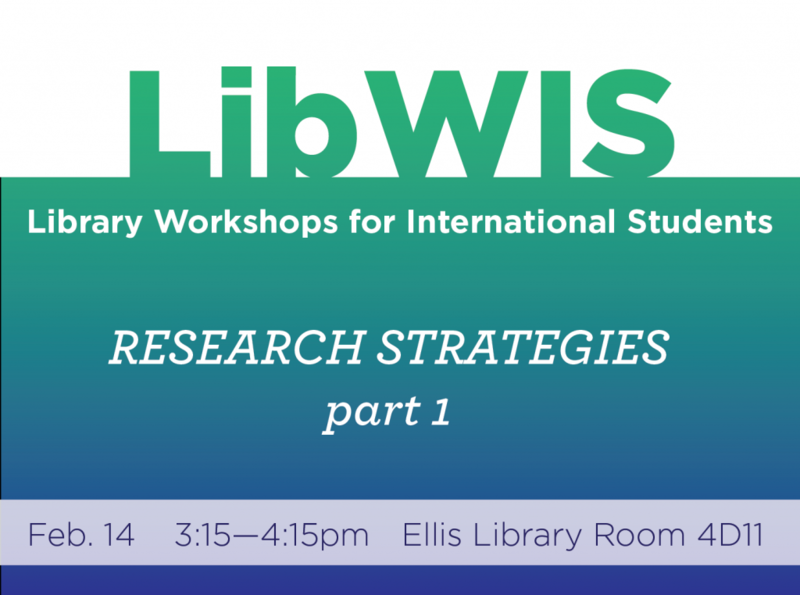 LibWIS means Library Workshops for International Students. These no-registration sessions are open to anyone, but international students are particularly encouraged to attend. 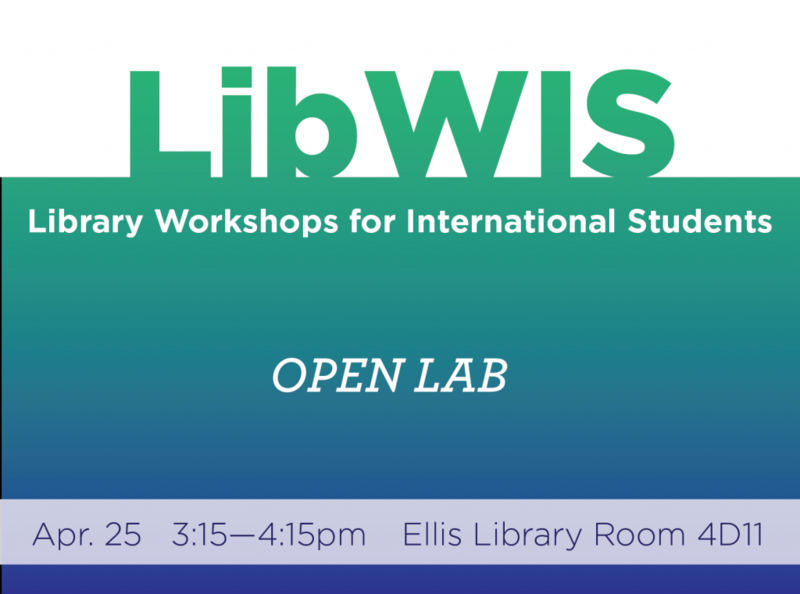 All workshops will be in Ellis Library, Room 4D11 during the week of January 29 – February 2, from 3:15-4:15 pm. The workshops, along with open labs, will also be offered throughout the semester (see the LibWIS Wednesdays schedule for dates). 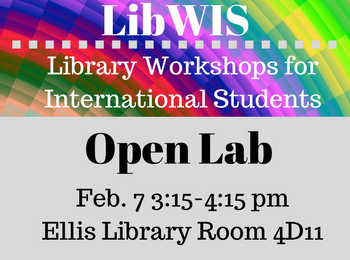 Come to one or all of the workshops! 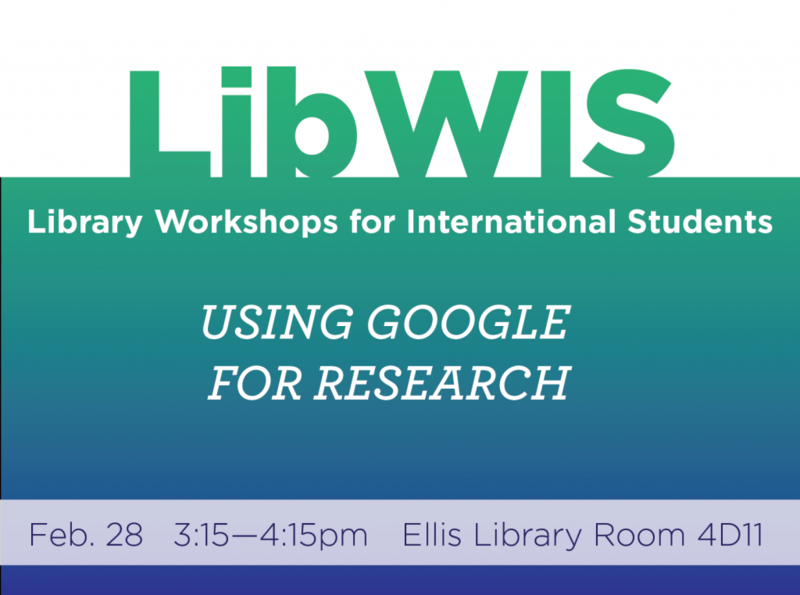 You may bring your own laptop or use the desktops located in the classroom.